Rectangular etc.hed opal glass fixture can be installed vertically or horizontally to accommodate modern lighting applications within the bath and vanity area. Enjoy beautiful and continuous illumination with Wedge. LED source features 3000K and 90+ CRI benefits, as well as a lifespan of more than 40,000 hours. With glamorous, vintage-modern appeal, Nisse features over scale discs of clear glass to reflect and glimmer against the Polished Nickel finish. Etched opal glass shades complete the sophisticated look. Fixture can be installed facing up or down to suit your preference. 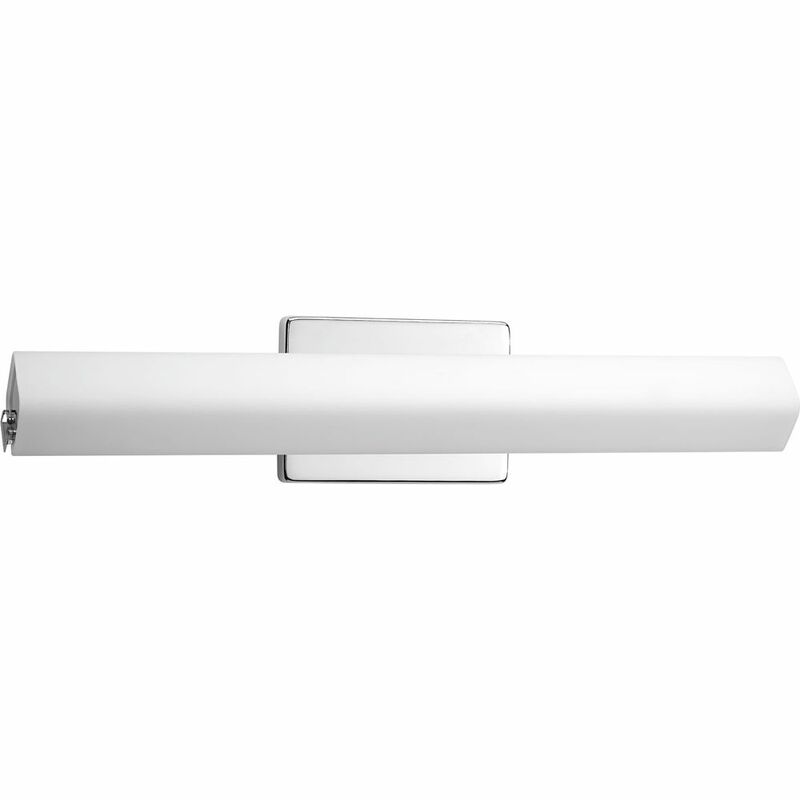 Wedge Collection 1-light Polished Chrome LED Bath Light Rectangular etc.hed opal glass fixture can be installed vertically or horizontally to accommodate modern lighting applications within the bath and vanity area. Enjoy beautiful and continuous illumination with Wedge. LED source features 3000K and 90+ CRI benefits, as well as a lifespan of more than 40,000 hours.